Trying to find a cheap golf bag that also is efficient and serves the purpose can be tough. I would rather spend more money on golf rounds and golf clubs than a golf bag, besides, all it really does is hold the clubs anyways right? This Taylormade bag I came across really serves the purpose of being cheap, yet being efficient. Even if you have Nike irons or some other brand of irons you can still use a Taylormade golf bag, not everything has to match. How many people are going to say “you play Callaway irons and have a Taylormade golf bag”? Not many. 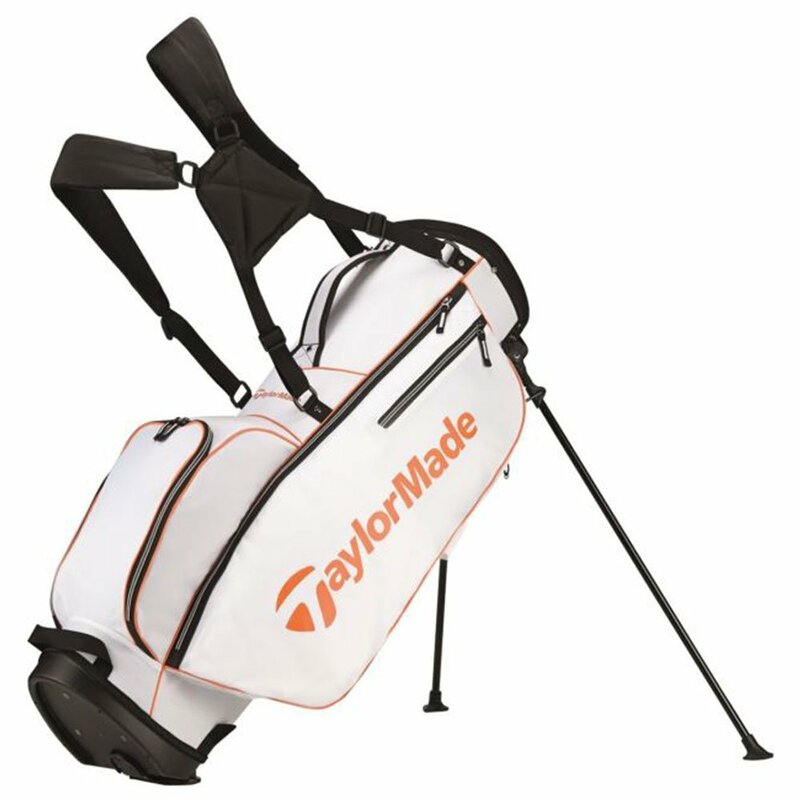 This Taylormade golf bag has plenty of pockets, six pockets in all including pockets for your golf balls and pockets. The valuables pouch is lined with velour to help you keep your valuables safe. For me, I usually use a pouch like that for my keys and cell phone so they are not a distraction to me on the golf course. The anti-split stand system is nice for when you decide to walk the course, it’s nice to able to stand your bag up and not have to lay your bag down on the ground. These stand bags are also light, as the shipped weight on this states to be at 4.6 pounds. Having a lightweight bag is also nice for the walking rounds. Anytime you can pick up a decent bag and not break the bank and have it be one of the major golf brands, you are doing pretty well. Overall this is a very well rated item by people who have bought the bag and is definitely a bag to consider if you are looking for a cheap golf bag that serves the purpose. When you click on the post, there are many colors available to choose from so you can find the color that matches your style. When you purchase from Amazon it should qualify for free shipping, or if you have Prime like I do, you can get free two-day shipping. If you have any other questions or comments, let me know and I will answer them below. ← Are Wilson Staff golf clubs a good brand ? – History says YES and the new C300’s look amazing!